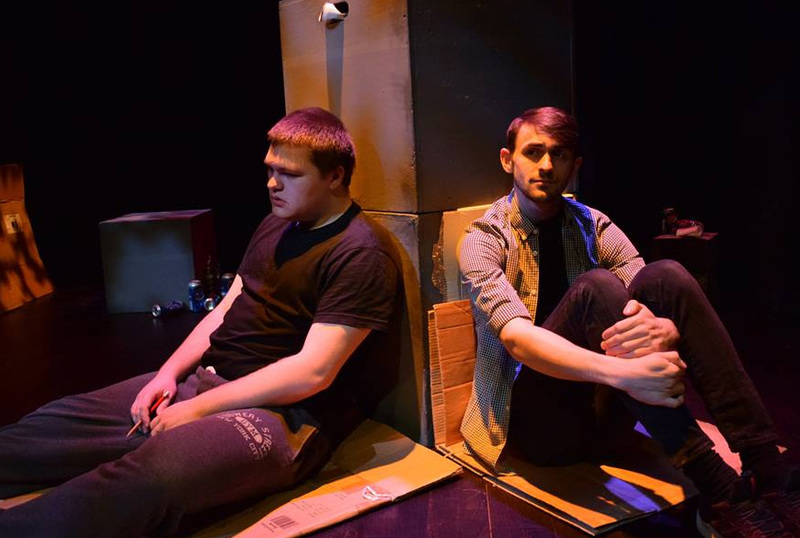 Unfurling the real stories behind those who have ended up homeless helps people to relate to the experiences they have been through, says Joe, 28, whose journey features in verbatim play Street Life. The play was written by Norfolk – based scriptwriter James McDermott and performed by actors from across Norwich. The play was staged by Norwich Theatre Royal as part of their Creative Matters season. Based on true stories from local people, the play aims to break down barriers and challenge stereotypes. Joe and Tim, 50, who currently live at St Martins’ Dibden Road move-through hostel in Norwich, were invited to see the performance. Here they share their thoughts on the play with Syreeta Lund, who volunteers for St Martins. Q: What did you like about the play and did you think it was realistic? Tim: I thought the play was really good, especially the way they used lighting focusing on people speaking, I did think it was realistic and to the point. The actors played the parts well and you could see it had been well-researched. Everyone from that background has a tale to tell. Joe: One girl, one of the actors, you could tell she’d had experience of drug addiction. If you put five people in a line, I could pick out the heroin addicts. You can tell when you look at someone and that’s a bit more realistic, there’s just a look in their eyes and an understanding. Q: Did the play tackle stereotypes about those who end up homeless? Joe: Yes, I mean, anyone could end up in that situation, the audience themselves. Tim: There are people, some of those who are pension age, and they can be very set in their ways about what a homeless person is, that they brought it on themselves so things like this can challenge that. It made a difference it was based on real people, that’s the best thing they could have done in the play. We would have clicked if they had not used experiences we have come through. Joe: Most people ignore you, you shouldn’t expect to be given anything by anyone, but some people can be selfish and have views about your life because they’ve never been in that situation. Q: Anything you would have liked to have seen and didn’t? Tim: Not really. I like the fact they show how people can start to built up, they show this with props, only to be kicked down again. Joe: I do think they could have explained better at the end, what they were trying to say. Q: What did you take away from the play? Joe: There was hope at the end of the day. They didn’t have someone have an overdose and die. You could see a bit of hope in the stories. It was a sad story, but I liked it wasn’t ‘woe is me’, just told the different stories and did not lay it on people who are homeless themselves, it did it really well. Tim: I do not think homelessness and street life could be more highlighted than it is now. I think it has been dealt with in a good way because of things like this project are bringing it to the forefront. Q: Have you seen many plays before? Joe: I haven’t seen that sort of play before, I’ve seen a pantomime but that’s a bit different! It gives us an opportunity to see something else and mix with different people. Tim: I haven’t seen many plays before but felt like this really covered most of the areas around homelessness. Joe: Everyone should see it. I mean, people who care about homelessness. Tim: Yep. It should be everyone going to see it.